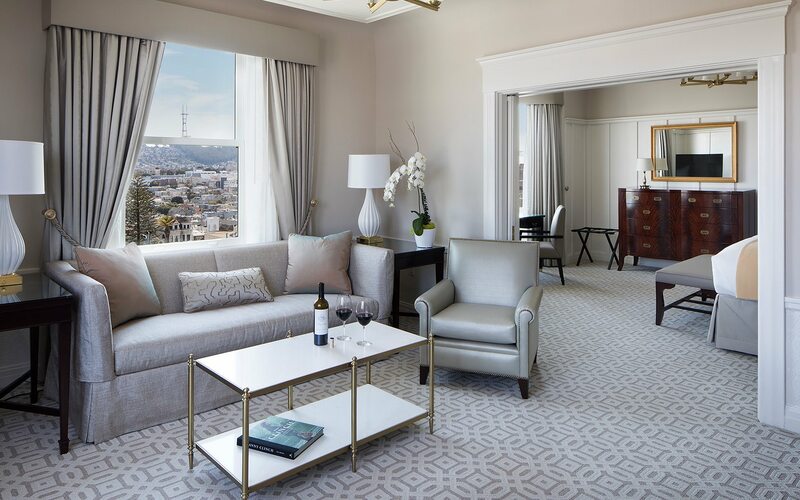 Spacious and sophisticated, suites at the Hotel Drisco offer modern comfort, privacy and a host of luxury extras for an elevated San Francisco escape. 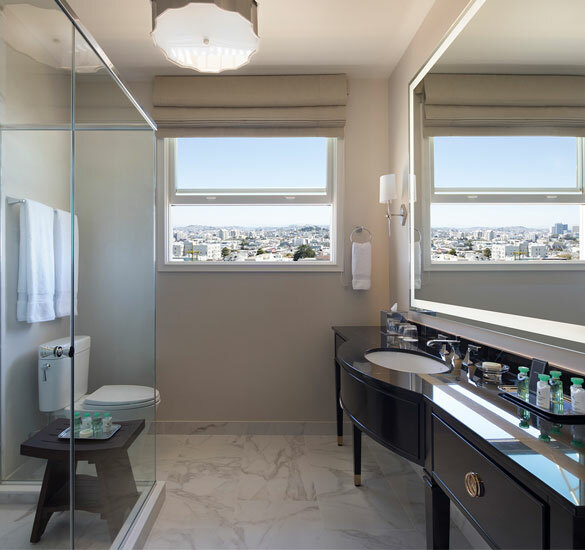 In addition to our signature Hotel Drisco amenities, each suite includes stunning Pacific Heights views, private bedrooms, two 42” HDTVs a separate living/dining area and fresh fruit on arrival. Maximum occupancy: 3 guests;The fee for the third adult is $50 per night. 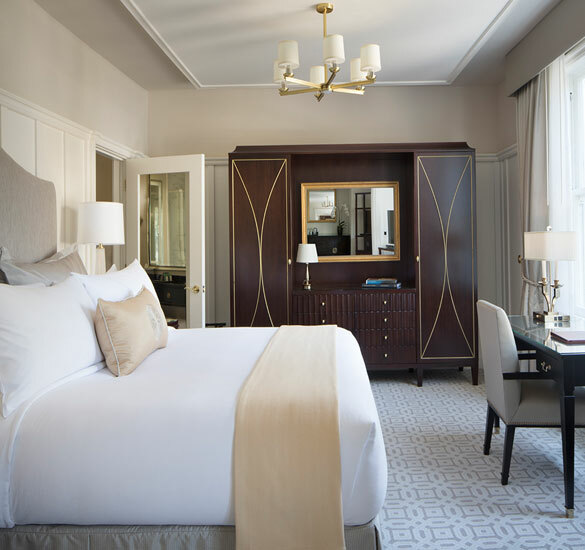 These spacious 500 square foot suites feature custom designed furniture and fabrics, and a fresh soothing color palette. 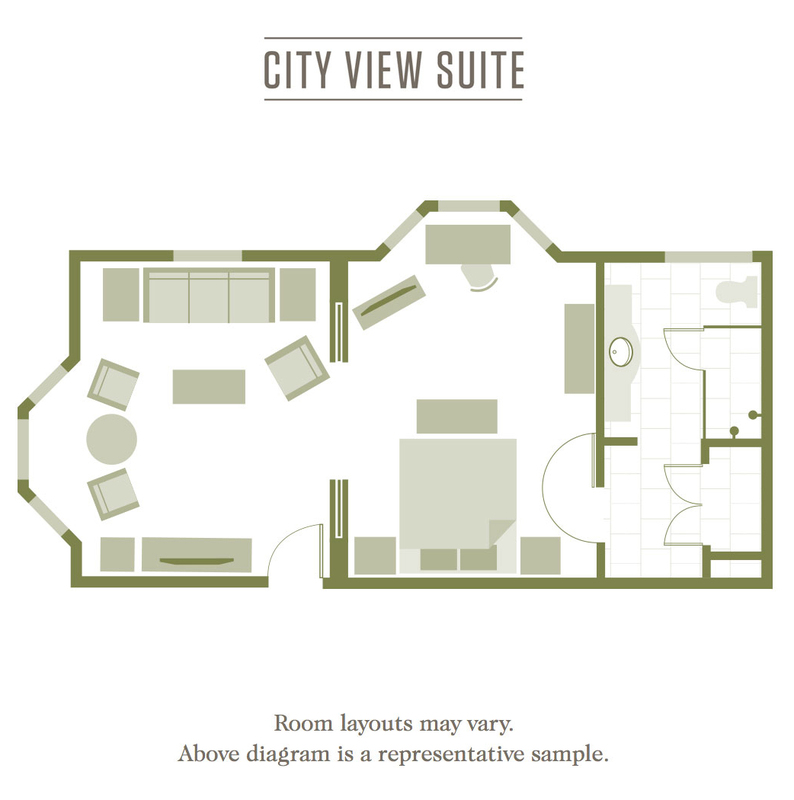 They offer a bedroom and living room separated by pocket doors. 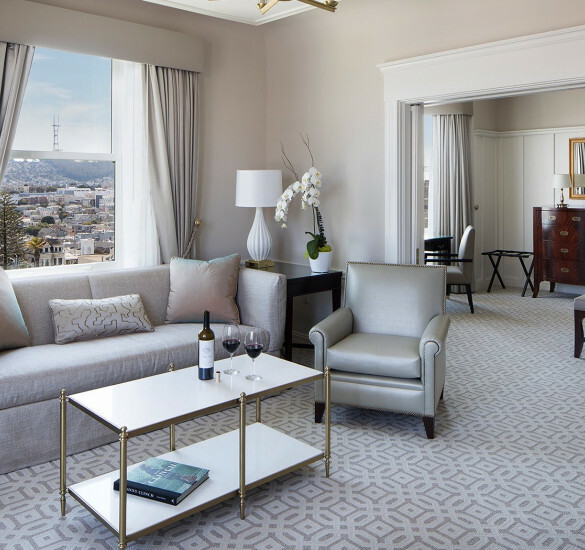 With sweeping views of San Francisco, these spacious suites, ranging in size from 500 to 535 square feet, are ideal for a special occasion. 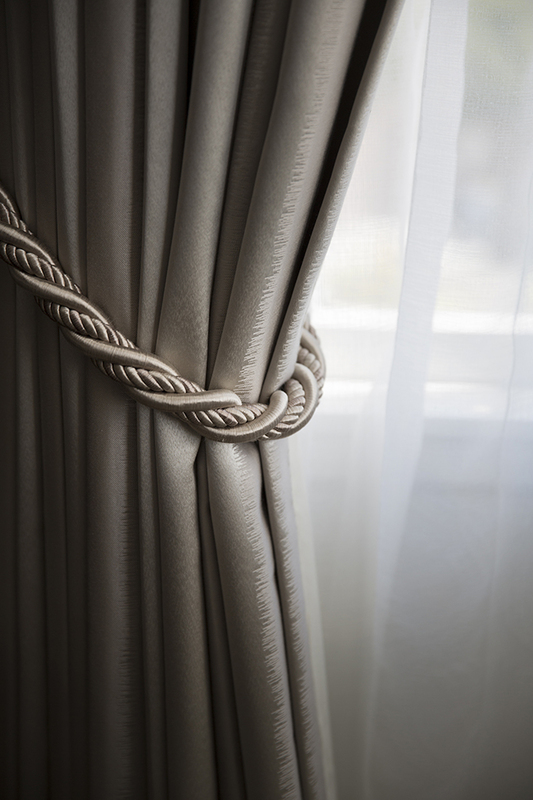 They feature custom designed furniture and fabrics, a fresh soothing color palette and they offer a large bedroom and separate living room separated by pocket doors. Maximum occupancy: 5 guests;The fee for the fifth adult is $50 per night. 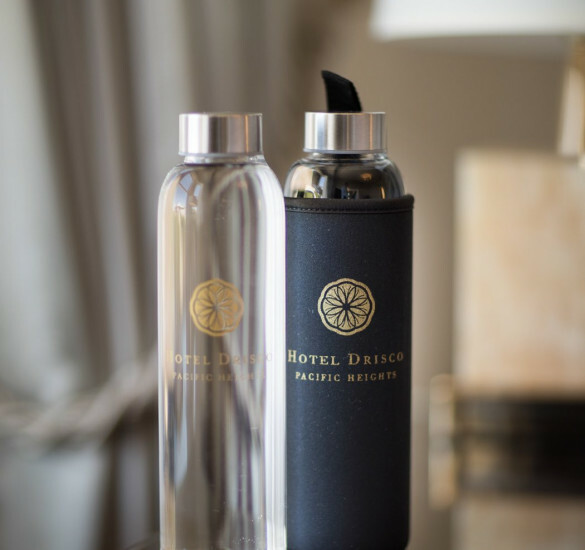 Live like a local in these spacious and private accommodations, ideal for couples traveling together. 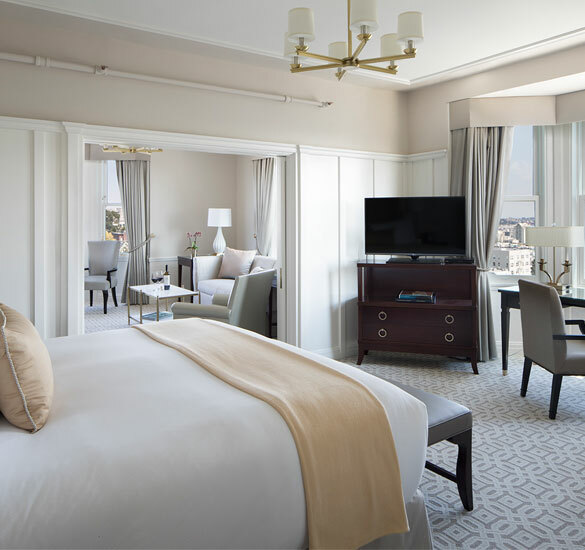 These 820 square foot suites are comprised of a City View Suite with one bedroom, a private hallway and a second adjoining bedroom and bathroom, and like all of our rooms they feature custom designed furniture and fabrics, and a fresh soothing color palette. Maximum occupancy: 7 guests; The fee for the seventh adult is $50 per night. 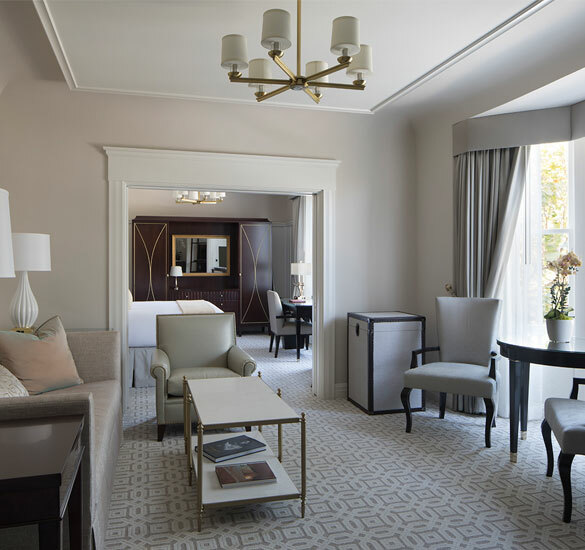 These extremely spacious and private suites are ideal for families. 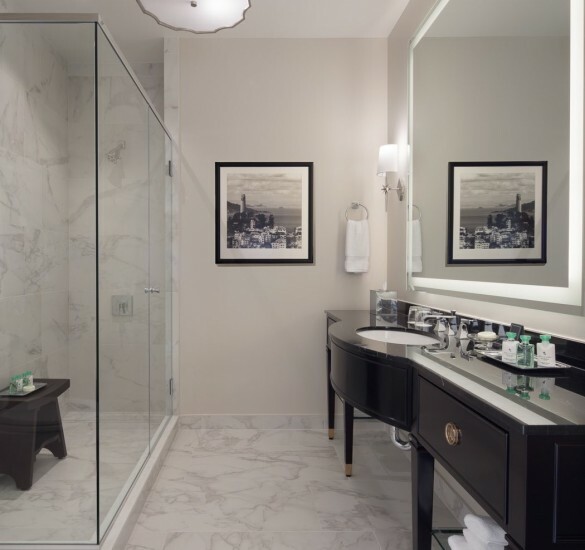 With three bedrooms, three bathrooms, a living room and a private hallway, there is enough room for parents, children and even an au pair in these 1,100 square foot suites. 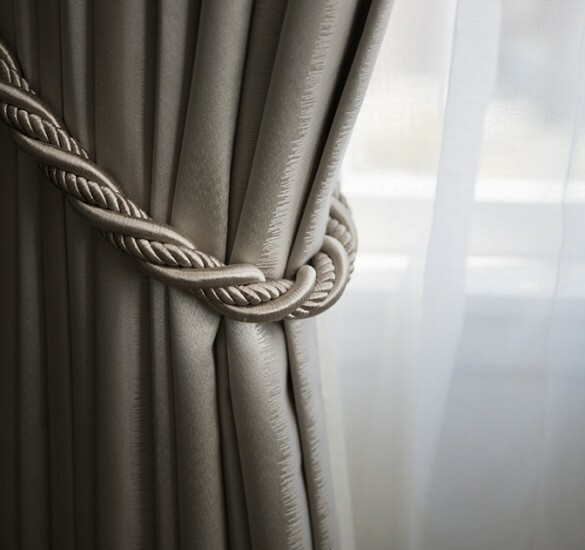 Like all of our rooms, these suites feature custom designed furniture and fabrics, and a fresh soothing color palette. Maximum occupancy: 3 guests. The fee for the third adult is $50 per night. 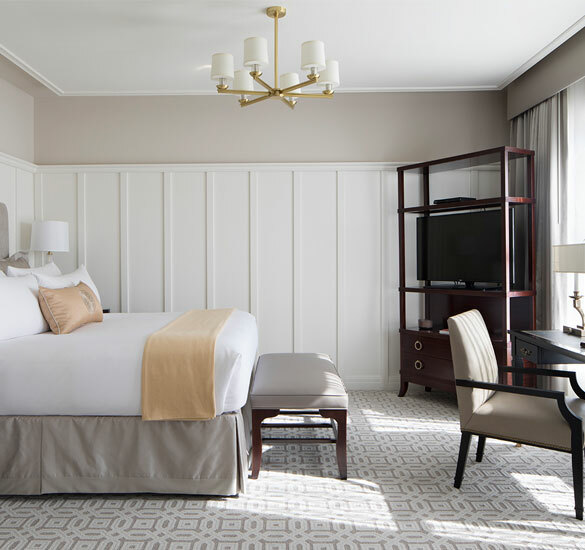 This spacious 500 square foot suite features custom designed furniture and fabrics, a fresh soothing color palette and all the conveniences and requirements of an ADA-compliant accessible room. 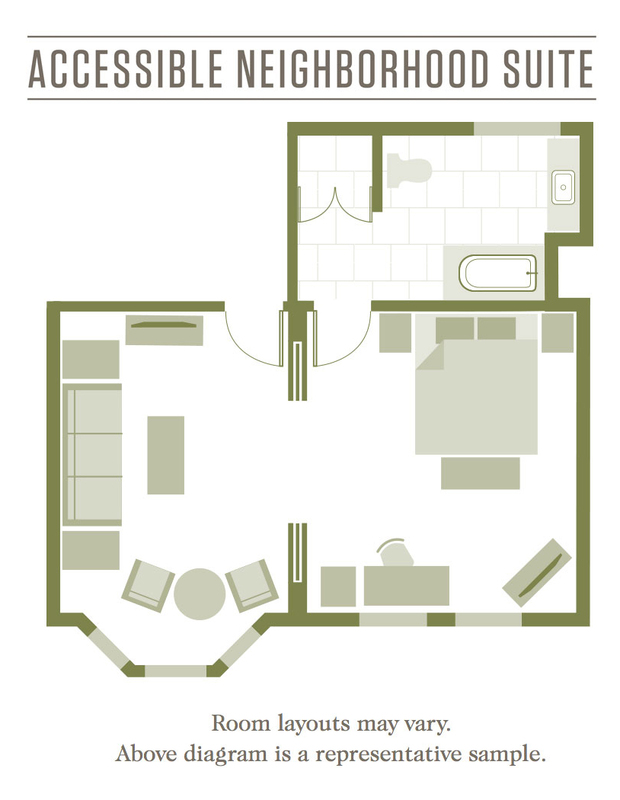 It offers a bedroom and living room separated by pocket doors. Maximum occupancy: 5 adult guests; The fee for the fifth adult is $50 per night. 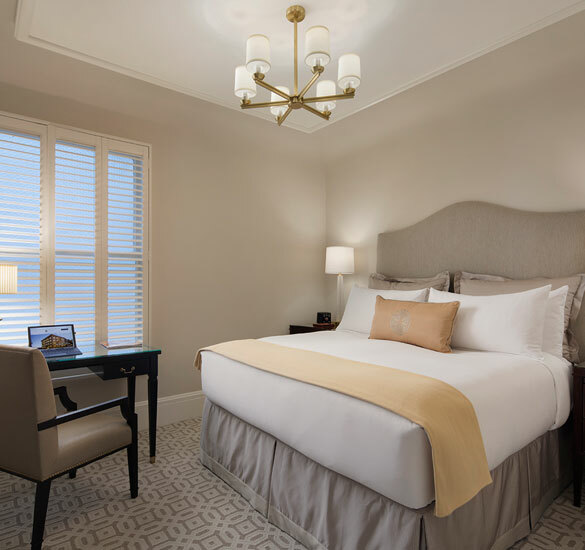 Live like a local in these spacious and private accommodations. 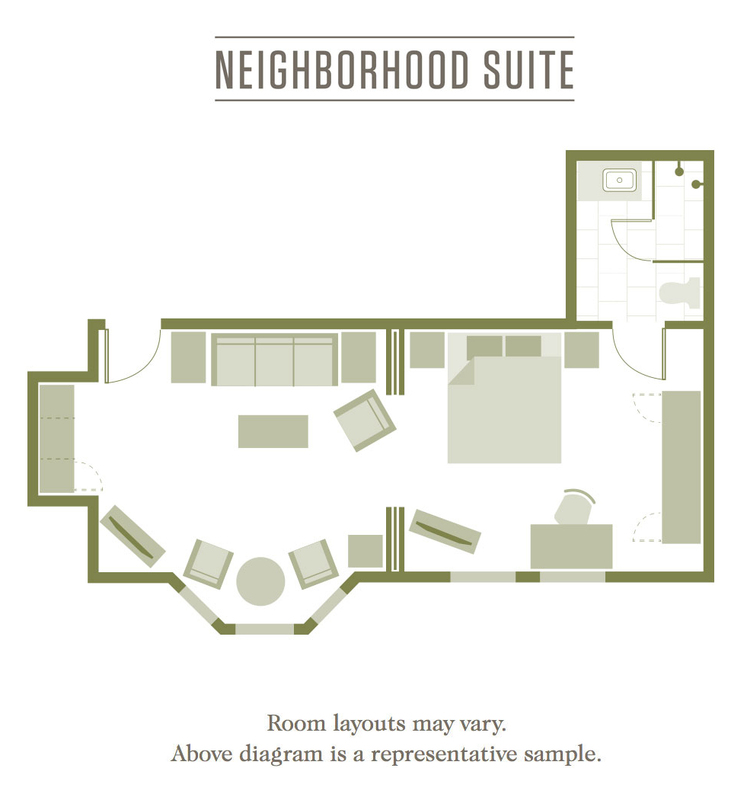 This 820 square foot suite is comprised of our Accessible Neighborhood Suite with one bedroom, a private hallway and a second adjoining bedroom and bathroom, along with all the conveniences and requirements of an ADA-compliant accessible room. 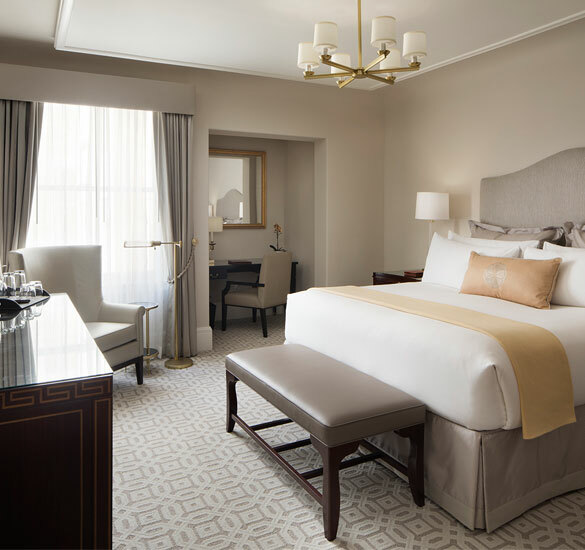 Features custom designed furniture and fabrics, a fresh soothing color palette, two hotel king beds, two work desks, a queen sleeper sofa, two club chairs, a dining table for two and plentiful warm lighting. 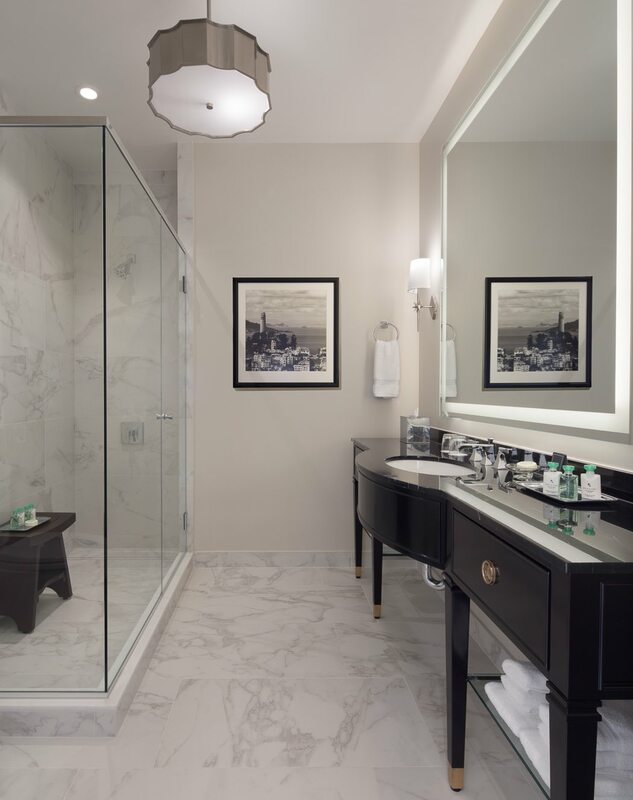 Bathrooms contain elegant marble accents, heated floors, large fog-free mirrors. 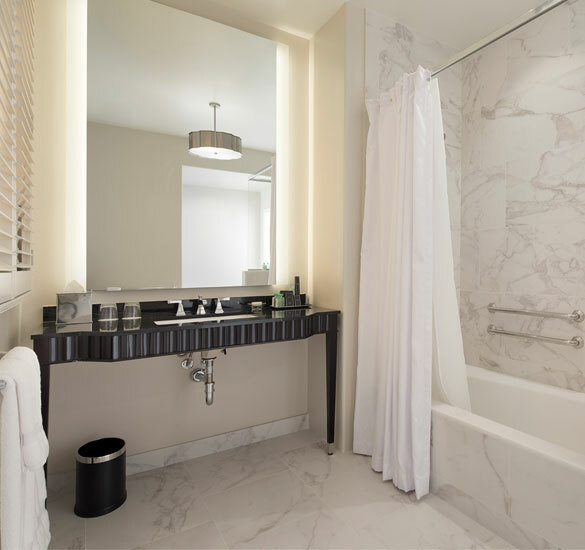 The larger bathroom has a shower/tub combination (with optional bench), grab bars for the toilet and the shower/tub, lever fixtures and an accessible vanity. 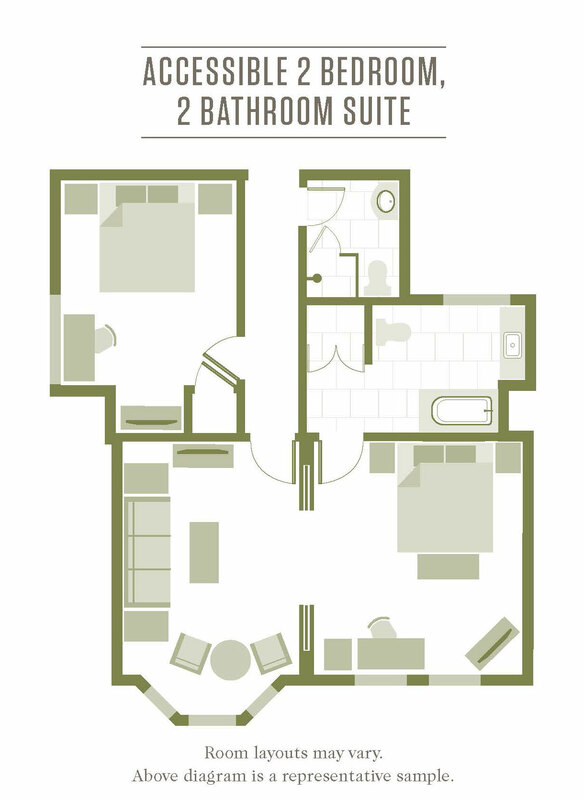 The smaller bathroom does not have accessible features and contains a walk-in shower. 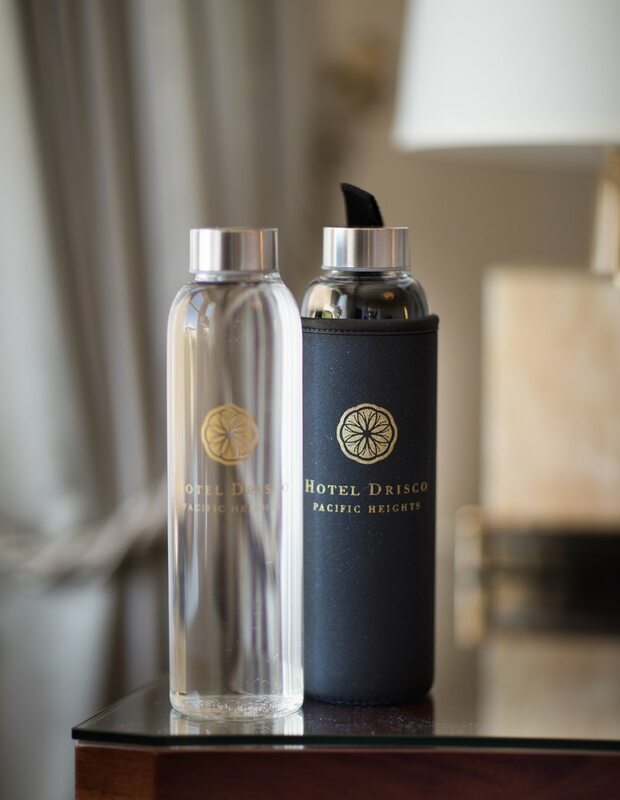 Extensive complimentary amenities are included.